After many business and personal real estate transactions, Greg Chinlund decided that Chicago needed a real estate company with a focus on responsive customer service. Searching for a business partner with the same ideals, he found a match in Jim Hourican. As a proven entrepreneur, Jim was looking for a progressive real estate business to grow. Together they formed a new company, INproperties. Real estate for your home, business, or investment is likely a significant portion of your net worth and an important component of your life. Ensure YOUR real estate investment is given the professional handling it deserves by someone you can trust. 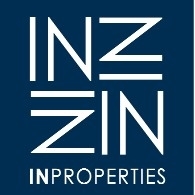 Integrity and intelligence applied to Real Estate, thats what defines INproperties. INproperties works to achieve the best results for each client based upon the client's specific needs; to create trust and a comfort level for each client; and to create a long-term relationship with each client. Greg Chinlund: In addition to being a real estate broker, Greg is an attorney with substantial real estate experience. This combination of skills and experience gives INproperties the ability to identify and avoid or resolve potential issues early on in the process, saving the client time and money. Due to past experience in real estate and law, Greg also has a network of first rate professionals in the financing and legal fields that can assist in the process. Jim Hourican: Having lived in the Chicago area most of his life Jim knows the neighborhoods and realizes the challenges of city home buying. Prior to joining inProperties, Jim ran his own business for several years, and also established a successful sales and marketing career in the corporate world, where he was responsible for over $30 million in annual sales. He has in-depth experience with single family rehab and condo conversion projects, and can help guide clients through these experiences that could otherwise be intimidating. With an MBA from the University of Chicago, Jim brings a top-rate education and real world business experience to every deal. INproperties has experience with condo conversions, condo association management, single family home remodel projects, new construction, construction loans (including FHA), historic landmark properties, Investment properties, apartments, mixed-use commercial, second homes, commercial financing, buying and selling short sales and foreclosures. Chicago Suburbs: Orland Park, Tinley Park, Palos, Homewood, Flossmoor, Mokena, Bolingbrook, Plainfield, St Charles, Wheaton, Carol Stream, Naperville, Aurora, Lisle, Woodridge, Downers Grove, Westmont, Hinsdale, Elmwood Park, Oak Park, Roselle, Schaumburg, Barrington, Winnetka, Highland Park, Glencoe, Evanston, Skokie.